On the 6th of December 2017, William and Kate visited Manchester in the north west of England. Their first visit took place at Media City in Salford. 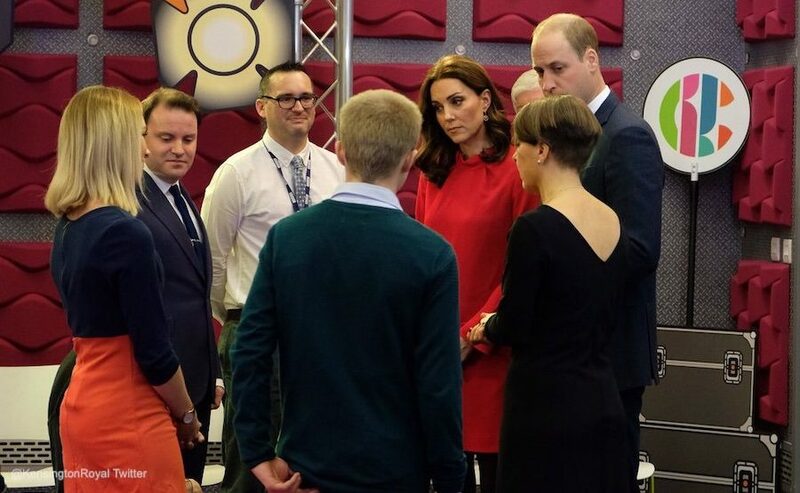 Here, the royal couple visited Newsround HQ and met with local schoolchildren taking part in a BBC “Stepping Out” session. 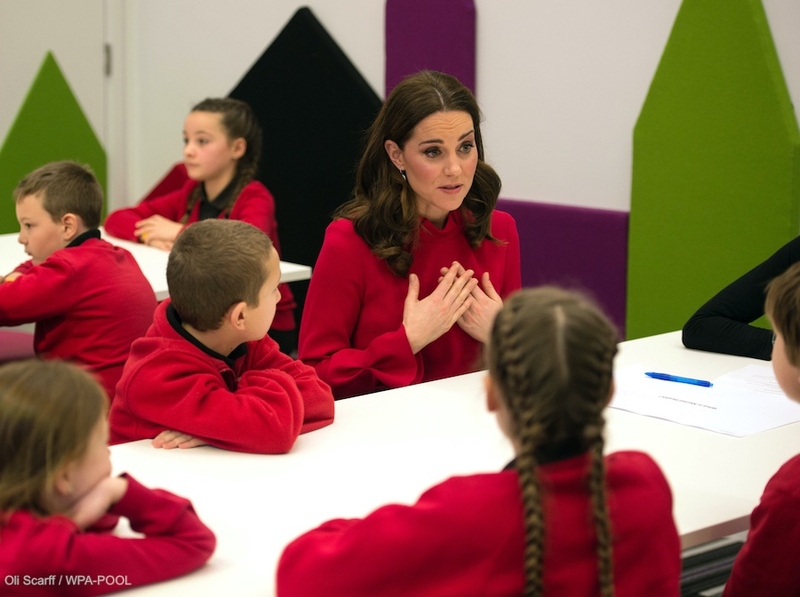 William and Kate listened as local schoolchildren gave feedback on mental health and their coping skills to the BBC Stepping Out team. The team will use this information to help inform their future children’s TV programming. 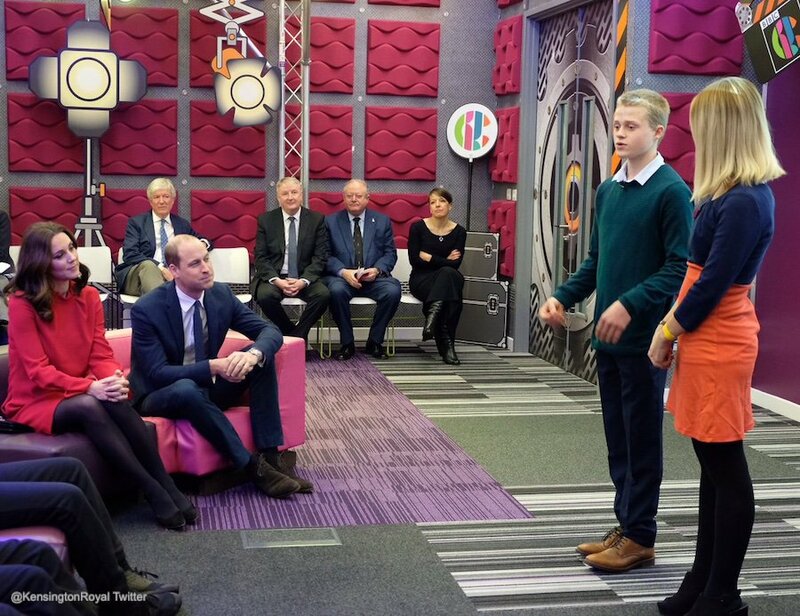 During the session, William and Kate attended a Q&A with Josh, a young person at the group who recently made a TV special for BBC Newsround called ‘Inside My Head‘ (which the BBC confirms William and Kate have watched). Josh is now is making it his mission to talk about mental health, so that kids with similar problems are able to get help more easily. Next, William and Kate travelled over to the Manchester Central Convention Complex, an exhibition and conference centre in an old railway station. Before heading in, the couple said hello to local schoolchildren (and a few cartoon characters) who were waiting outside. 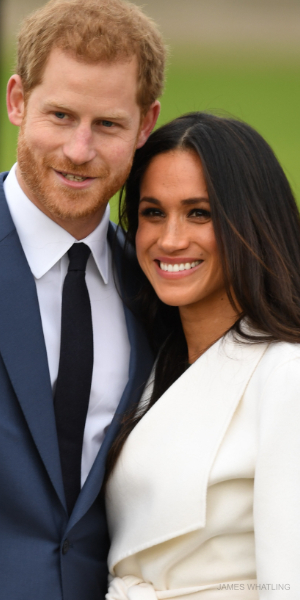 The couple were at the conference centre to attend the 2017’s Children’s Global Media Summit which explores the impact that digital technology has on children. The annual conference has been running since 1995. During the conference, Kate sat next to Tom Fletcher from the band McFly, who is also a children’s author and vlogger. 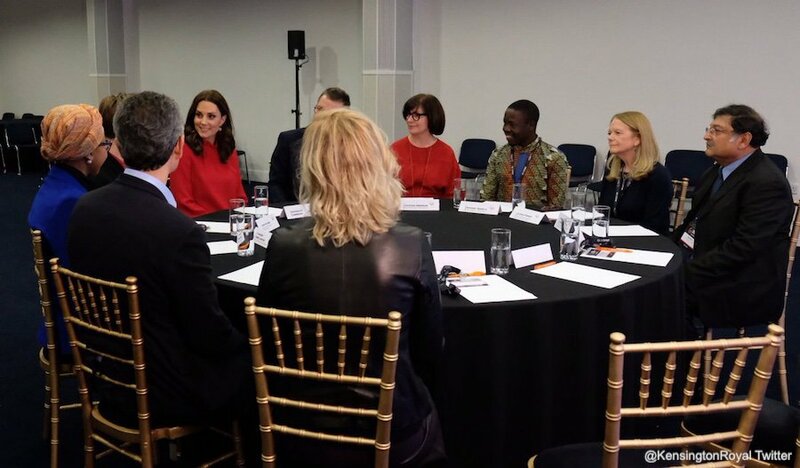 The Duchess attended a ‘Sesame Workshop’, hosted by the team behind Sesame Street. 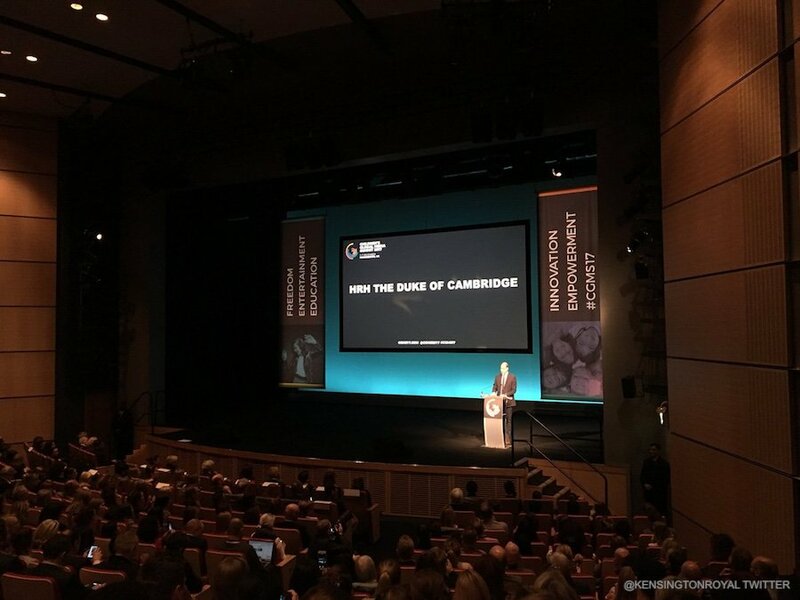 During the conference, Prince William delivered a keynote speech highlighting the benefits of digital technology on today’s children, but he also addressed his concerns with the internet on childhood from a parent’s point of view. You can read the speech here. 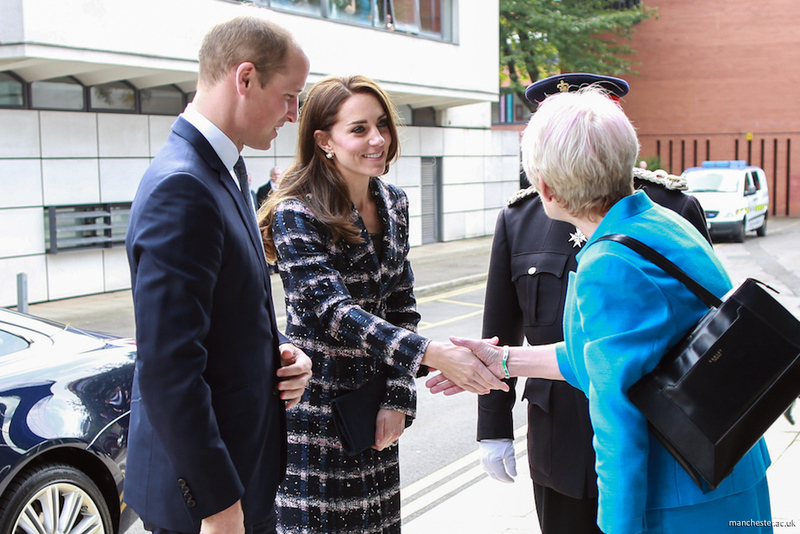 For those keeping track, this isn’t William and Kate’s first joint visit to Manchester. The couple visited together in October 2016. 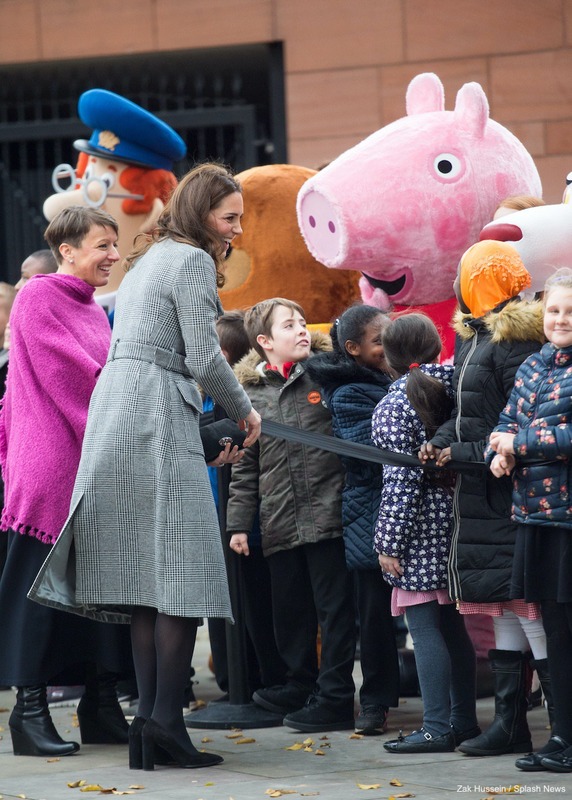 Kate also made a solo visit to the city in April 2013. She was pregnant with Prince George at the time. 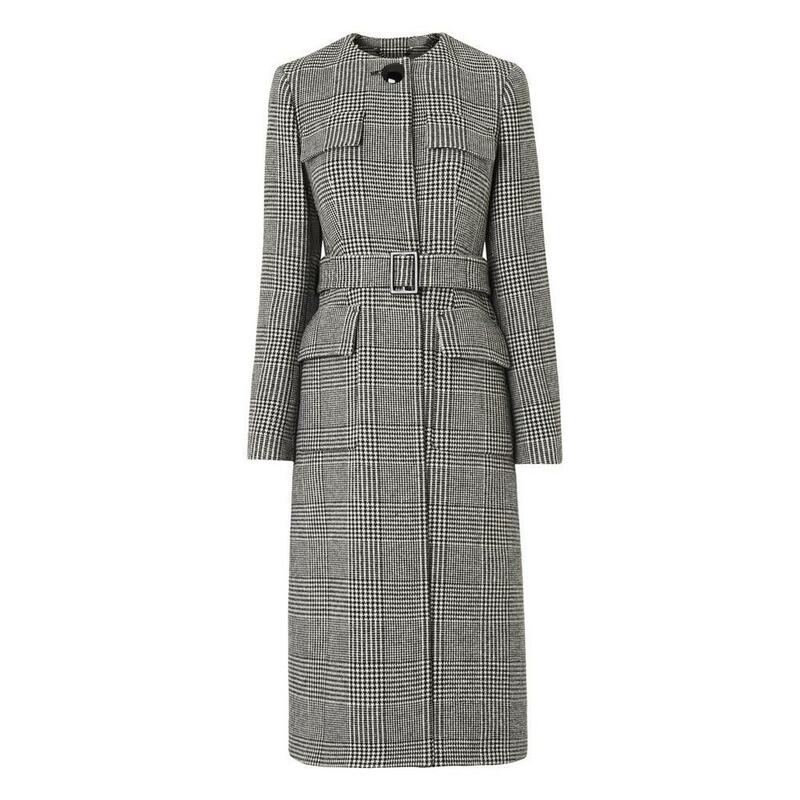 For the visit to Manchester in 2017, Kate wore a new coat by L.K. Bennett. 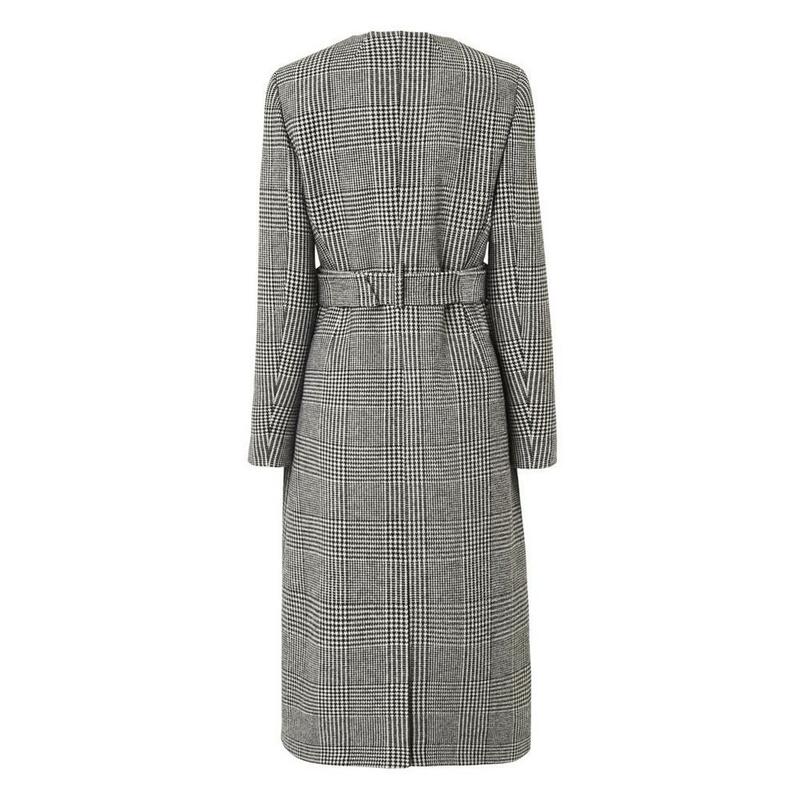 It’s the company’s Delli Check Coat (thank you to Heaven for quickly identifying the piece). 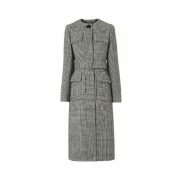 The grey houndstooth coat features a crew neckline, a concealed button-down front and four military-style flap pockets. 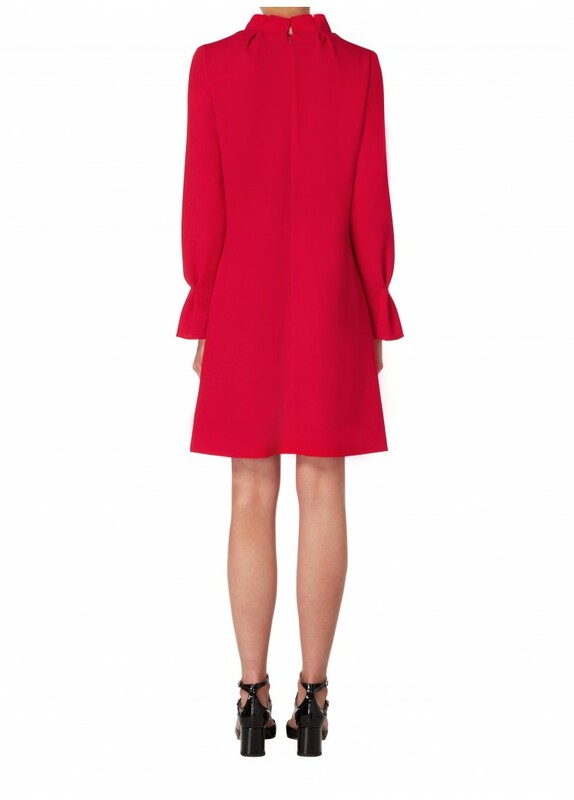 The coat’s skirt is flared and it hits mid-calf. L.K. 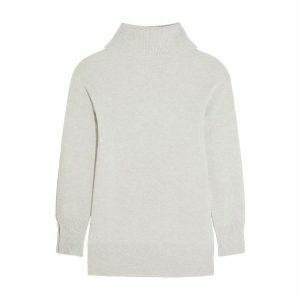 Bennett calls it a “smart essential … uncluttered in design”. 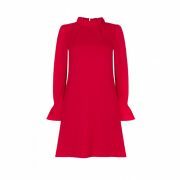 Kate also debuted a new red mini dress in Manchester. 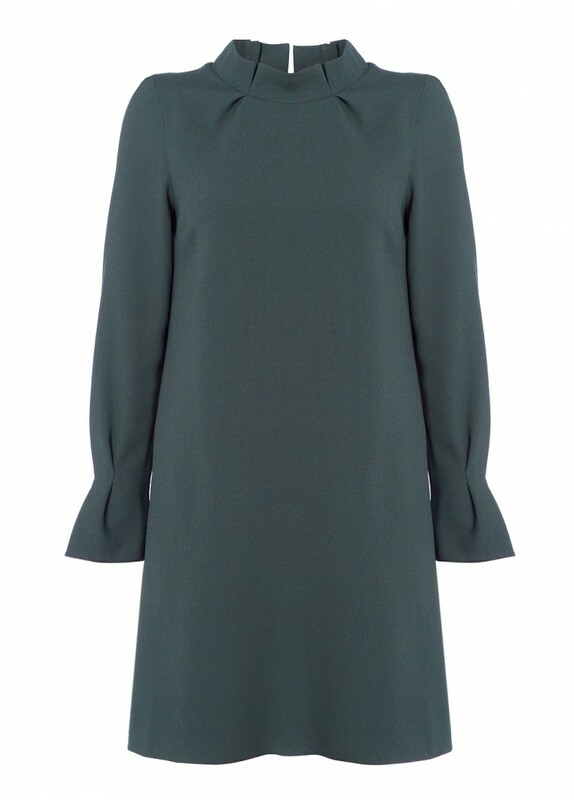 It’s the Elodie dress by British fashion brand Goat. 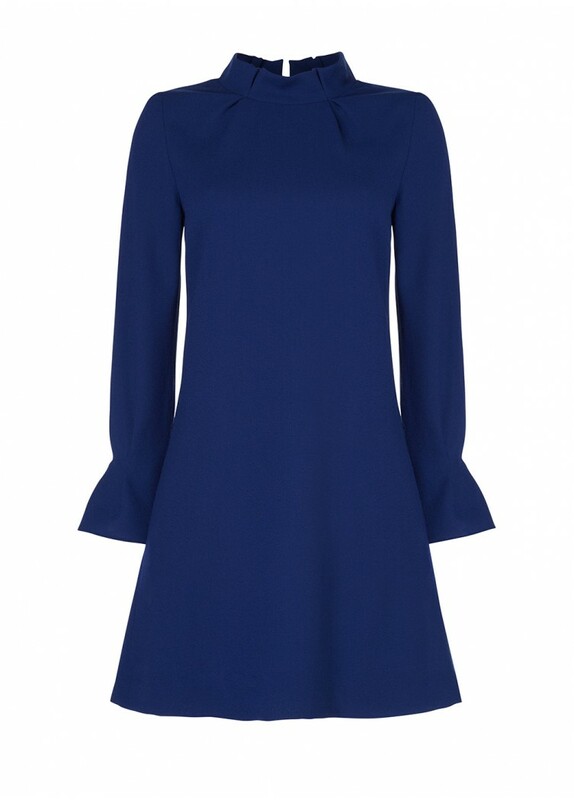 The tunic dress features a gathered funnel collar and pleated sleeves. 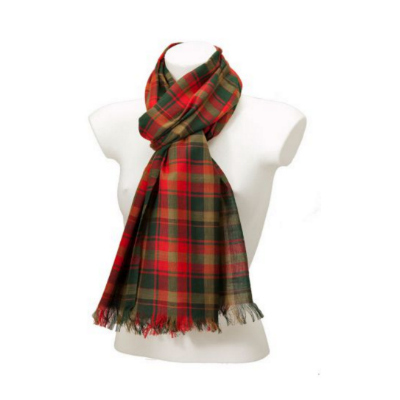 It’s made from a cherry red wool-mix fabric. 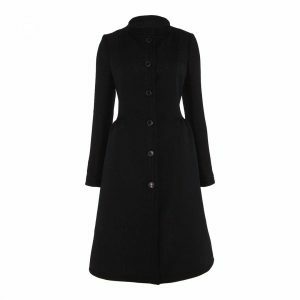 GOAT describe it as “feminine and flattering … intricately crafted to offer a chic and stylish fit”. Kate carried a familiar bag. 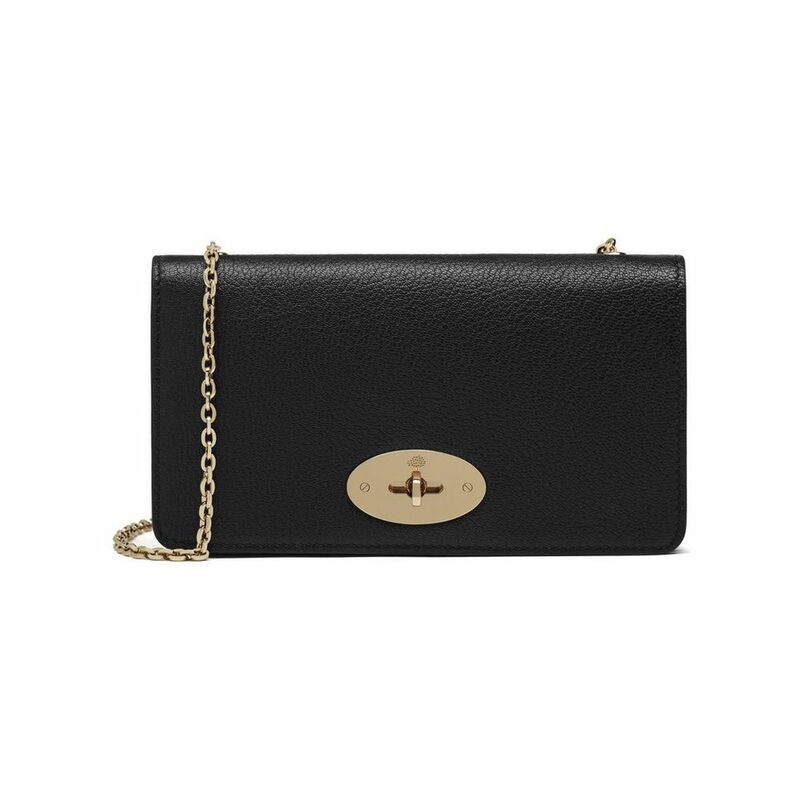 It’s her Mulberry Bayswater wallet clutch in black suede. The bag features Mulberry’s signature gold-tone hardware. Fun fact: Kate owns the bag in two other colours! 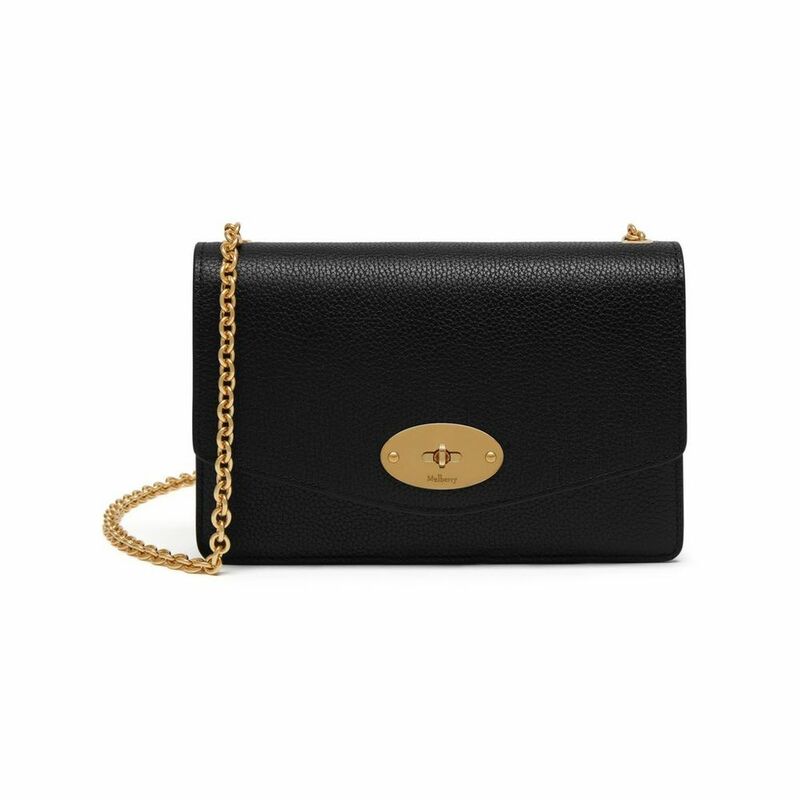 Sadly, Mulberry no longer sell the small version of the Bayswater. If you’d like to copy Kate, you can still find the bag on eBay in multiple colours. 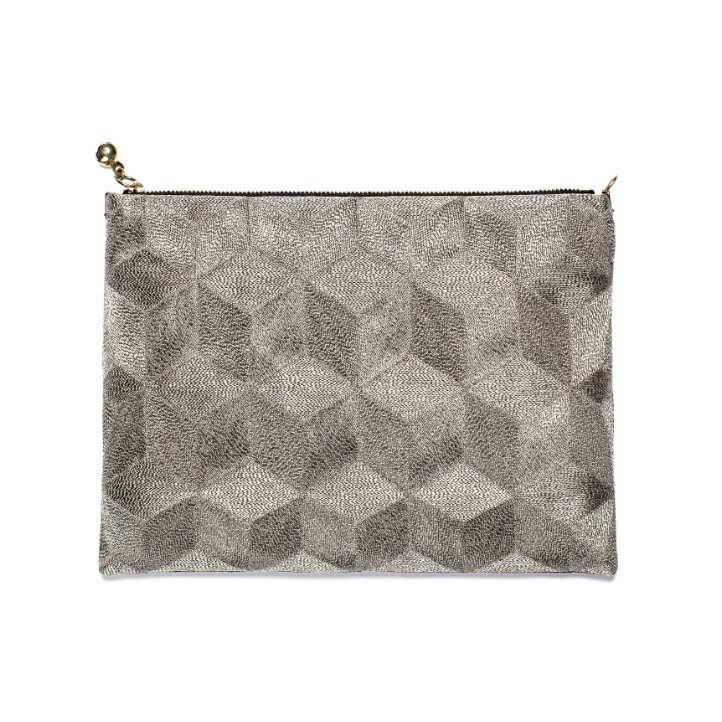 Or try the Mulberry Darley clutch, it’s very very similar. Kate wore her coordinating TOD’S pumps. The shoes feature a block heel and arch into a pointed toe. The shoes are made in Italy using black suede leather. 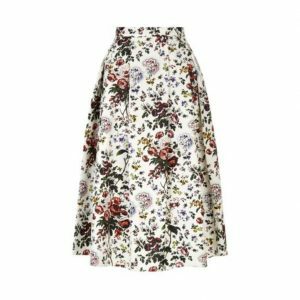 Sadly, Kate’s pumps are no longer available to buy. If you’re looking for a similar pair, check out the TOD’S Fringed Pumps at FarFetch.com. 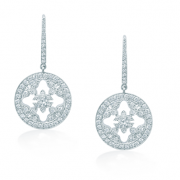 Kate added a little sparkle to her outfit with the Mappin & Webb Empress earrings. 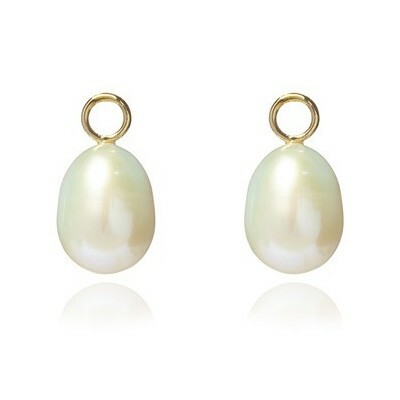 Kate’s worn the earrings regularly since Princess Charlotte’s christening in 2016. 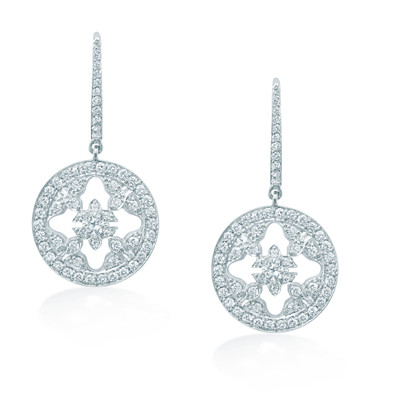 At the time of writing, the company sell 16 different types of Empress earings. 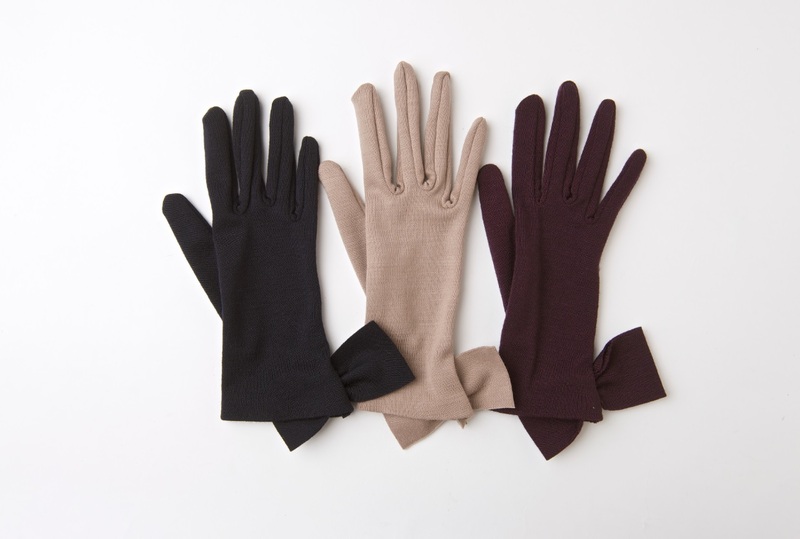 It’s impossible to tell exactly which pair Kate’s wearing. View them all by clicking here. 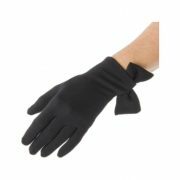 Finally, Kate wore her black Cornelia James ‘Imogen’ gloves for the Manchester visit. 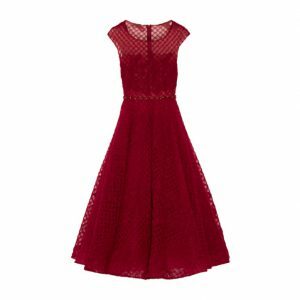 Kate you are stunning with everything you wear ! 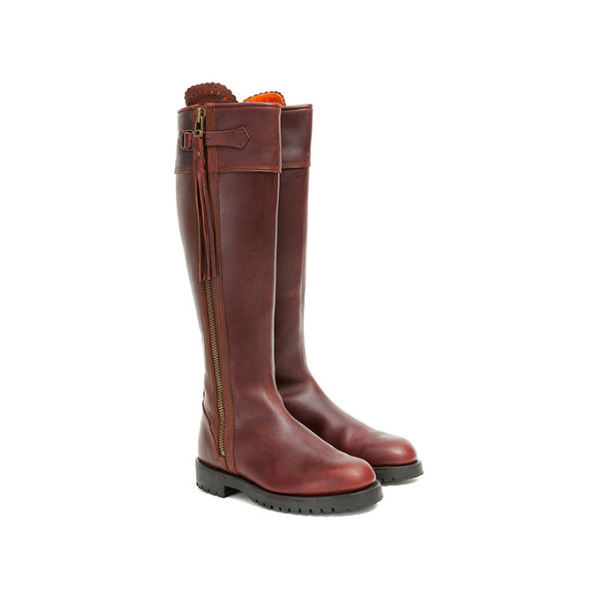 Smart choices in shoes with good soles for all the walking Kate does.